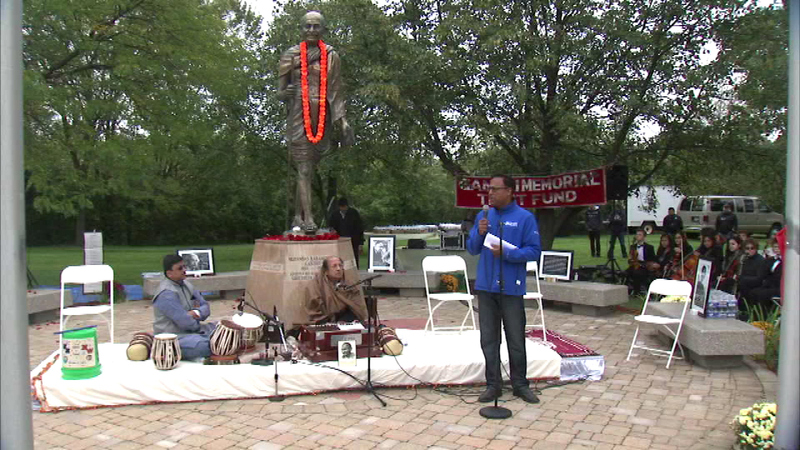 The broader Skokie-Evanston community joined hands Sunday afternoon at the statue to Mahatma Gandhi on McCormick Boulevard. SKOKIE, Ill. (WLS) -- The broader Skokie-Evanston community joined hands Sunday afternoon at the statue to Mahatma Gandhi on McCormick Boulevard. The celebration honored the 10th anniversary of the monument's installation. Skokie Mayor George van Dusen and India's Consul-General in Chicago attended the event, as well as ABC7 Eyewitness News anchor Ravi Baichwal. The Gandhi Memorial Trust put the statue in place in 2005. It is now one of the most visited places on the North Shore.